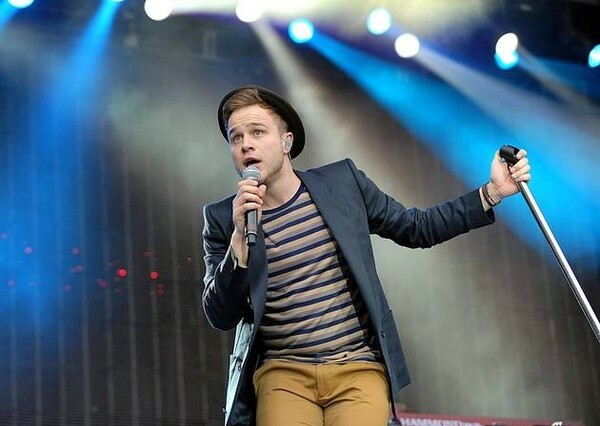 Olly Murs recently traversed the country with One Direction and, in the process, he swept American audiences away. He’s got a swagger that’s classically soulful, stage presence that’s invigorating, and an inimitable, infectious voice. In other words, he’s the ultimate modern pop star. Plus, Murs has got a sly sense of humor, making him an all-around cool guy at the same time. The music sticks out the most though. His croon is one of a kind, and he delivers stadium-size anthems with timeless charisma. 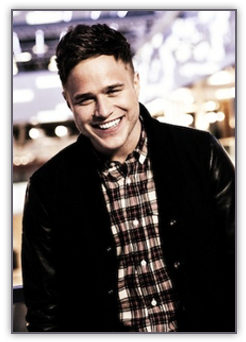 In this exclusive interview with ARTISTdirect.com editor in chief Rick Florino, Olly Murs opens up about his most recent album In Case You Didn’t Know [Album Available September 25], the song “Heart Skips a Beat”, and so much more. Did you approach In Case You Didn’t Know with one vision or vibe in mind? We did the first album, and it had a bit of reggae. It was fresh and different. It was a good introduction to get me into the market. The second album is a little bit more creative. There’s more old school Motown. There’s some ’90s beats in there. I wanted to make an album that was really eclectic and vibe-y from start to finish. It gives people a chance to listen to all kinds of music in one album, which is nice. It’s not everything of course, but there’s a good vibe, and it makes people smile. I’m really pleased with it. When you’re an artist, you want people to listen to your album and go on a journey. Some albums I get are boring. They have the same old tracks and production. I’m trying to change it up a little bit on every song. I wanted to go with a new sound. What’s the story behind “Heart Skips a Beat”? It was actually written for my first album, but we sat on it. When we were working on the second album, we wanted to make a bang with the first single. I listened back to it, and I thought it was great. There’s great production on the track. I believe the song is about a relationship that’s going sour. It’s not feeling as great as it did before. You play that one record fell in love with on repeat, and you remember the good times. It makes you want to dance again and get closer. You feel that love again. That’s how I feel when I sing the song. That’s how I interpret it. Was the chemistry with Chiddy Bang instant? Chiddy’s great! He gave it something different. I’m really positive about it. Hopefully, it comes across well in the States. Where did “I Need You Now” come from? I got inspiration for that track from Adele. I wanted to do a record that wasn’t about heartbreak but about meeting the right girl. It’s a day dream thinking about the perfect girl. She’s out there somewhere waiting for me. I just wrote a song for the new album called “One of These Days”. It’s a similar vibe-y song. Is it important for you to tell stories with the songs? Yeah! For me, as a performer, it’s always nice when you can go on stage and tell people the story of a song. They can hear what I’m trying to say or what I felt at the time. Some of the songs are about breakups and how I felt when a girl dumped me and I was on my own. It’s exciting. I love writing songs. It’s a good process. It’s a great feeling when people are singing your song back to you. Take “Oh My Goodness”. This really hot girl walked by and I began thinking about what life would be like if I got with her and how amazing it would be. What are listening to right now? I’m into everything. My laptop is quite diverse. I’ve got pop, rock, R&B, hip hop, and country. It’s a mixture of all sorts of songs I love. It’s all different. I love Michael Bublé, Justin Timberlake, and Stevie Wonder. They’re the three I love. I’ve got every album possible. Then, there’s James Brown. I also mentioned the Spice Girls. They were part of my life on a more fanciable level. I fancied them a lot [Laughs].They’re like drawings. How has the U.S. been treating you? There’s been a great response and feedback. All of the fans have been incredible. From the start in Toronto to now, it’s been amazing. Everyone likes the music. I’m really happy. If you were to compare In Case You Don’t Know to a movie or a combination of movies what would you compare it to? I’d probably say it’d be a comedy with a serious vibe to it. I’d probably say Forrest Gump. It’s fun and happy, but there’s a serious side that comes with “I Need You Now”. I’ve never been asked this question before so it’s off the top of my head [Laughs]. I think Forrest Gump is one of the best films ever. There are funny moments and then really sad moments. My favorite actor is Denzel Washington. I love Training Day, Man On Fire, and American Gangster. Then, I love all of the classics like GoodFellas, Casino, and Scarface. Will Ferrell is another one of my favorite actors as well as Jim Carrey. Man On Fire doesn’t get enough credit. It’s one of the best films ever. It’s classic. If people haven’t seen it, they need to. It’s brilliant. It’s a must-see. I’m going to go home, sleep in my own bed, and eat some good English food. I’m going to stop eating buffalo wings. I got obsessed with eating buffalo wings and nachos with melted cheese [Laughs]. The food here is insane. It’s so good. I love the honey barbecue flavor. It’s like heaven.